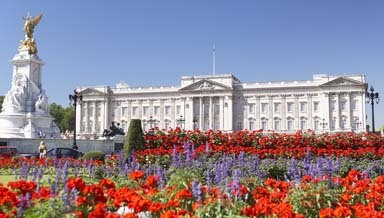 I live in the United Kingdom where Queen Elizabeth II is head of state. As a “constitutional monarch” she does not rule our country but fulfills important ceremonial roles with respect to government. While remaining politically neutral, and not entitled to a vote, the Queen opens each new session of parliament and dissolves it before every general election. She makes speeches in which she says, “My government will do” this, that and the other during each term. She also approves all new legal orders and meets regularly with the prime minister. I sometimes think that the British Christians’ view of Christ as King is influenced far too much by their knowledge of the role of the UK monarch. While people say they are Christians, they actually keep the rule of Christ in dayto- day matters at arm’s length, and do largely what they want to do. Sadly many people only involve Jesus in ceremonial matters when it suits them. Acknowledging Christ as King means accepting the rule of God in our hearts and lives so that we do His will. God is crowned at the center of our being and Christ is made Lord over every choice, decision and action we make. Peter, one of Jesus’ disciples and an early church leader, wrote: “Dear friends, I urge you as aliens and strangers in the world, to abstain from sinful desires, which war against your soul. Live such good lives among the pagans that, though they accuse you of doing wrong, they may see your good deeds and glorify God on the day He visits us” (1 Pet. 2:11-12). Christ rules people – not places. The rule of Christ is unlike any royal family or any government. His rule is neither geographical nor political. There are no lines drawn on maps which show that He rules here but not there. Within every country of the world there are some people who live in Christ’s kingdom, according to His rules. At the same time these Christians live with other people who do not. Christ rules over people, not places. In every country He has some people who follow His rules while others who do not. Jesus’ followers are usually in a minority. Where I last served as pastor, in a church in Sudan, our weekly congregation was made up of two hundred people from more than thirty different countries. Our passports identified our different nationalities. Our spoken languages were often different. Many of our cultural customs and traditions were very different. But our corporate loving of God through Jesus Christ our Savior, and our collective seeking to honor Him in every way we could, was uniform for us all. It was this way of living that identified us as practicing Christians in a Muslim land. Our witness to the world where we lived was to show to others by word and deed the person of Christ. He was our King and we were His subjects (or servants). Jesus Christ did not rule Sudan, but He did rule over certain people in Sudan. We and other Christians represented Him in that country. A genuine disciple of Jesus Christ shows that his or her daily choices are made with the revealed will of God uppermost in mind. Christ rules by choice – not force. Historically my country has ruled by conquest and subjugation in many parts of the world. This imposed colonialism is largely regretted today. It used to be said that the sun never sets on the British empire. Look at older world maps and you will see all the pink areas that identified British colonies. In museums you can view the ships, cannons, swords and rifles used in battles to establish these colonies. The city of Omdurman, Sudan has displays of General Charles Gordon’s British armory and that of Al Mahdi who defeated him in Khartoum in 1885. The British pattern usually was that first the local people were defeated in battle, and then a governor was placed to rule on behalf of the British government. Once again the activities of my British ancestors do not show how the kingdom of Christ really works. During my lifetime most of the territories gained by force have been given back to the local people for their own independence. Peter “urges” his readers to live in a particular way, but he does not force them. Instead he tries to persuade them by giving them reasons: “You are a chosen people, a royal priesthood, a holy nation, a people belonging to God, that you may declare the praises of Him who called you out of darkness into His wonderful light. Once you were not a people, but now you are the people of God; once you had not received mercy, but now you have received mercy” (1 Pet. 2:9-10). This means that since we are now born again into the Kingdom of God and are living with Jesus Christ as our King, we should show it in our daily lives. People outside this kingdom look at our lives and judge Jesus Christ and Christianity by what they see. Let them see us freely choosing to live in a God-honoring way, even taking the difficult options when necessary. When our lives is like that of Jesus it speaks volumes without using words. Around the southern border of Sudan and northern Kenya, Uganda and Congo, a self-styled group called the Lord’s Resistance Army is engaged in a violent campaign to establish theocratic government in Uganda. It claims such a government to be based on the Bible and the Ten Commandments. The LRA is guilty of terrible violence against other people and is accused of using very unchristian methods. Whenever I read of their activities I am terribly sad that people can be so wrong! It is never in the will of Jesus Christ to force Christianity on any individual or nation. Persuade, yes. Force, no. In 1 Peter 2:13-17 Peter writes that those living with Christ as King should also honor and pay due respect to human governments. We must “by doing good … silence the ignorant talk of foolish men.” We should not use our “freedom as a cover-up for evil.” Above all else, we must “live as servants of God.” This example in itself is a persuasive argument without words. I notice three phrases in this chapter of Peter’s letter. Living with Christ as King means living as “a people belonging to God” (1 Pet. 2:9). By doing so we show God’s ownership of our lives. He bought us to use for His purposes. We are also called “the people of God” (2:10), therefore our actions should reflect God’s own character to those around us. Since God is our Heavenly Father we must show His characteristics in our ways. We are also “servants of God” (2:16), therefore we should submit our wills to His because He is the Master and we are faithful servants. Christians give others freedom to choose or reject Christ, while showing by lifestyle that Christ is King. Christ requires sacrifice and suffering. Also in Peter’s letter we see that the “cornerstone” of a Christian life is Jesus Christ – His person, death and resurrection (1 Pet. 2:5- 8). While outsiders “stumble” over this, we build our lives on this secure foundation. Together we are “a spiritual house” where God lives, just as He lived in the pillars of cloud and fire in Exodus (Ex. 13:21-22; 40:34-38; Heb. 12:28-29). God’s kingdom runs contrary to the earthly kingdoms in which we live. Our national govern ments may pass laws which are contrary to the rules in Jesus’ kingdom. This means conflict, but not an armed conflict. It means that, as a Christian, I have to take up my own “cross daily and follow” my Master (Lk. 9:23). This means paying whatever the price may be. Honor in heaven is worth much more than any price which has to be paid in this world. Some believers who came from a Muslim background in Sudan have paid a high price for standing for Christ. I personally know: a teenage girl disowned by her father, mother and siblings; a university student whose legal career was blocked; the relative of a senior government minister driven out of Sudan by death threats in a national newspaper; a young evangelist speared to death as he shared Jesus Christ. I salute these African Christians. Peter writes: “It is commendable if a man bears up under the pain of unjust suffering because he is conscious of God” (2:19-20). He continues to write about daily Christian opportunities to follow in the footsteps of Christ, who “did not retaliate,” but “entrusted Himself to God who judges justly” and “bore our sins in His body on the cross”(2:23-24). For those who do not know the Savior, death is the end. But for Christians, death is immediate entry into the awesome presence of Almighty God. Through Christ we have the right to be there. He has saved us from our sin and He will stand beside us in heaven, vouching for us. The King secures our presence in His kingdom. Christians who stand up in witness here on earth will be able to bow their knees in wonder before the King in the glory of heaven (Rev. 4:9-11; 7:9-12; 11:15-19; 19:6- 7). Keeping our heavenly home in view will help us suffer in a godly way on earth (Acts 6:15; 7:54-8:1; Heb. 12:2-3). All this awaits Christians who live and die with Christ as King. Christ receives all praise and glory. Thousands of men fought alongside leaders like General Gordon and Al Mahdi in Sudan, yet we only remember the names of the commanders of these great forces. Thousands lie in unmarked graves even though they died serving their leaders. As Christian foot-soldiers we must expect nothing more. It is under the flag of Christ as King that we serve. To Him alone be praise, honor and glory. Peter tells us to “declare the praises of Him who called you out of darkness” (2:9). He wants us to “glorify God on the day He visits us.” He ends chapter 2 of this letter with these words: “You were like sheep going astray, but now you have returned to the Shepherd and Overseer of your souls” (2:9,12,25). In local, national and international soccer games the opposing teams wear different colors. Brazil wears blue and gold. Manchester United wears red and white. The Egyptian national team, the Pharaohs, wear red, black and white. Watching any major game on TV one can see twenty-two players on the pitch wearing team colors and thousands in the stands wearing the same colors. By doing so the fans are saying they follow Brazil, United or the Pharaohs. When a goal is scored the TV turns to the crowd to show the scoring team’s colors waving. This is but a tiny picture of the praise and glory that will be offered to God in heaven by everyone wearing His colors. We will be swaying and chanting in unison, “Worthy is the Lamb, who was slain to receive … glory and honor and praise” (Rev. 5:12). We will not be disappointed at the result of our lives. The Eternal King will be crowned once and forever. The Shepherd King will see His flock safely into His heavenly mansion. I have childhood memories of watching our Queen’s coronation in 1953 on a black and white TV bought by my parents for the occasion. I have since watched many times the pomp and majesty of British state occasions like the Opening of Parliament and the Trooping of the Color. I remember the funerals of Princess Diana, and later of the Queen Mother. Some say we Brits do pomp and ceremony rather well! Yet the gold, glitter, pageantry and celebration are nothing compared to that day when we will see Christ as King in God’s presence (Ps. 8:1-9; Heb. 2:5-9; Rev. 21:22-27). What a wonderful forever that will be! For the time being, we are called to live with our Lord and Savior through the ups and the downs of daily life. Peter urges us: “To this you were called” (2:21). Don’t let the world squeeze you into its mold, but let Jesus create in you a monument to His greatness. The choice is yours. Christ is King! Why not live with the King? You will be on the winning side for eternity, even if the going is tough for a while here on earth.